Over the years, children all over the world have reported sightings of the real Santa Claus—not department store Santas or bell-ringing Salvation Army charity collectors, but the real thing. 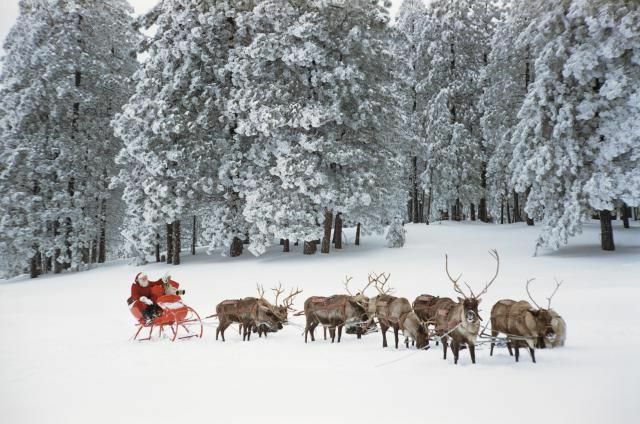 Some even claim they saw Saint Nick's sleigh and reindeer. Are these simply illusions seen through the eyes of a child's Christmas excitement and expectation? Here are some of the stories adults and children tell of mysterious Christmas Eve sightings gone by. It was Christmas Eve of 2002 in New York City. My parents had invited some friends and relatives over for dinner, sort of like a Christmas Eve celebration. After that, I decided to go to my room to watch some television, but there was nothing good to watch. I then found myself pacing back and forth in the hallway. My house is big, so there was no one with me. Everyone was in the living room watching a movie I wasn't interested in.